This new edition of ESSENTIAL CHEMISTRY FOR SAFE AROMATHERAPY provides an accessible account of the key theoretical aspects of chemistry and their application into the safe practice of aromatherapy. For readers with a limited science background, this book offers a clear and concisely written guide to essential information in chemistry. For practitioners, the book applies chemistry to the practical and therapeutic use of essential oils, and leads to a better understanding of composition, properties and technical data related to essential oils. Takes the fear and mystery out of chemistry for aromatherapy students! Allows professional aromatherapists to practice with greater confidence, safety and skill, and to extend the range of their practice through a clearer understanding of chemical properties of essential oils. 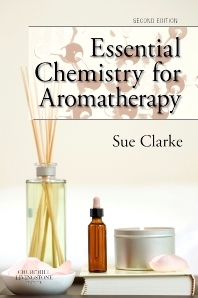 Covers the scope of what is taught at major aromatherapy teaching centres, and structures the material to make sure each chapter provides the reader with a rounded understanding of the topic covered. A glossary is included for easy reference.